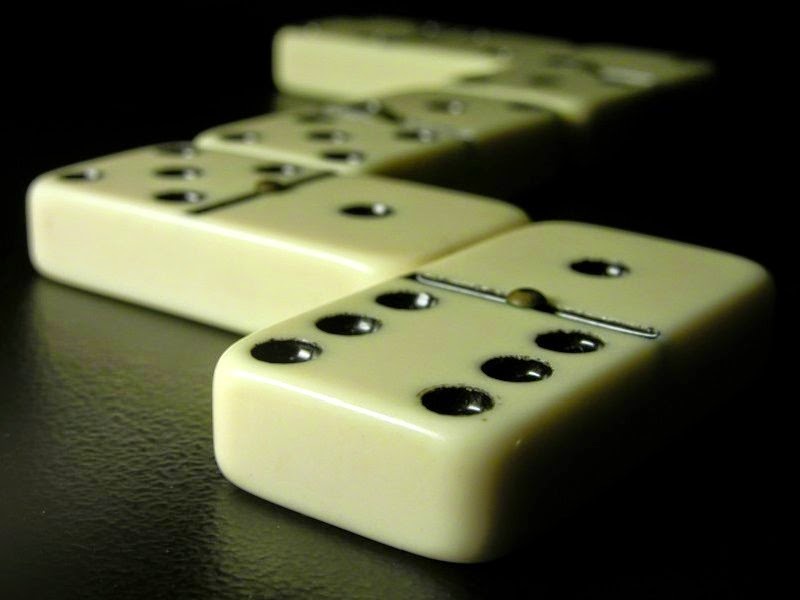 If you are familiar with the game of dominos, there are dots on each domino and the placement of a domino on each turn requires that you match the number of dots to one of the dominos already placed. But in real life, and in business, the game is quite different. There is the natural sense that a six is better than a one and double sixes is the best. But the cool thing is that being blank is really the best in this game, as you can match up with any other domino when it comes your turn. The business analogy is being versatile and flexible. That has been my gift in my career. We don't always have to match. In fact, we don't even have to sit adjacent to the other dominos to be effective. We can go off as entrepreneurs and build something on our own and still have impact. In fact, whether we are a six or a one or even a blank in the eyes of the world, we can still have major impact. To have positive impact, things do need to be "lined up". There is planning involved and even skill. But just because you don't feel like you are significant, every domino does in fact matter. You don't have to be a six to start off that magical chain reaction shown in this amazing video. All you have to do is "be the domino" that you were meant to be. That is finding your destiny -- your radical sense of purpose.